Barcelona is one of the largest and most populous cities in Spain and in all of Europe. Barcelona is a leading tourist, economic, trade fair and cultural centre in the world, and its influence in commerce, sport, media, entertainment, education, science, fashion, and the arts all contribute to its status as one of the world’s major global cities. The port of Barcelona is the busiest passanger port in Europe, and trade there is also highly significant. One of the most famous aspects of the city lies in its football team, the FC Barcelona, a leading professional team with many records and awards. Tourism is also high in this city, with millions of tourists visiting throughout the year. We made a list of the top 20 things to do in Barcelona if you want to experience this great city for yourself. Park Güell is a unique park in the city that is very popular for its eccentric, but wonderful designs. Mosaic collages, mushroom-shaped chimneys and other weird and abnormal buildings await visitors between the green spaces. Coming here is a great way to experience the culture of this neighborhood, and definitely one of the best things to do in Barcelona if you want to see something out of the ordinary. The Mercat de Sant Josep de la Boqueria or simply known as the La Boqueria, is a large public market and a popular tourist spot in Barcelona. Local butchers, bakers, farmers and other vendors await visitors to let them try fruit juices and wines, fresh fish, meats and other food. The market is perfect for trying out the local food and getting a feel of the daily life of the citizens here. The Barri Gòtic is one of the oldest parts of the city. 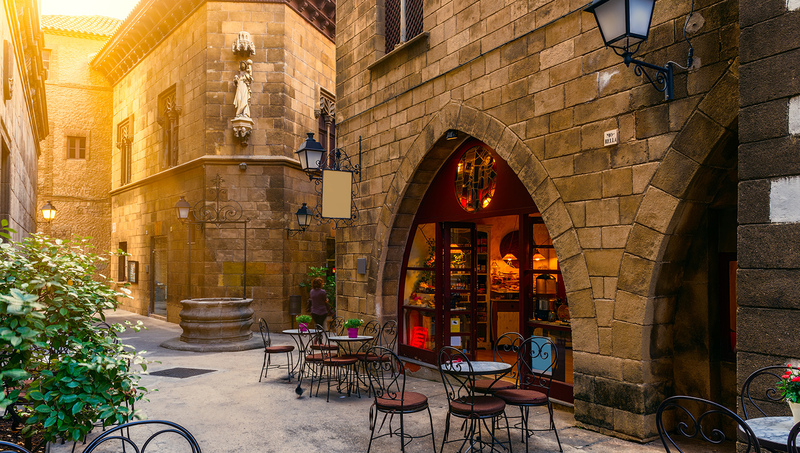 A walk through the alleys, streets and intricate architecture of this old neighborhood allows you to experience medieval-Barcelona. Mix that with the cafés, restaurants and the street performers giving you some background music and shows, and you got yourself a unique atmosphere. 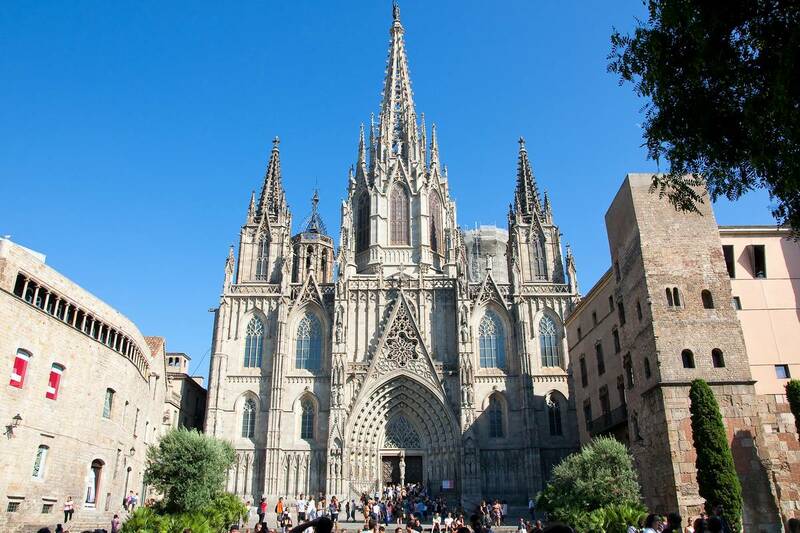 Barcelona Cathedral is located in Barri Gòtic and is considered one of the finest examples of Gohtic architecture in all of Spain. 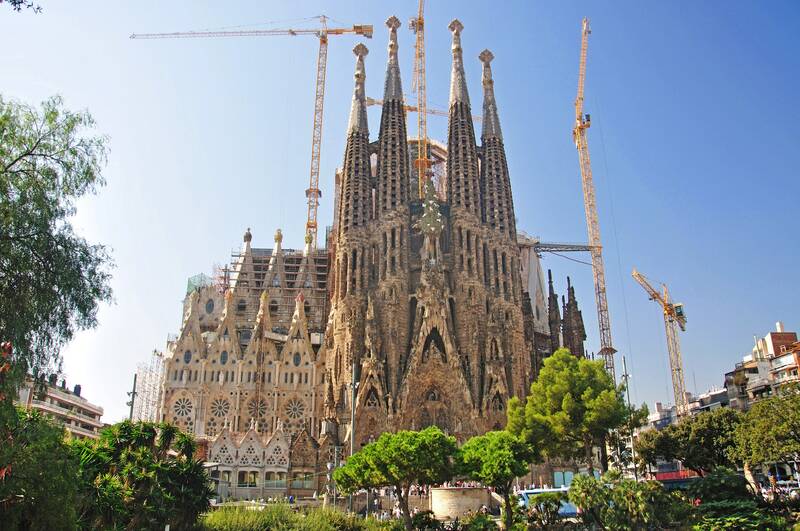 This large cathedral towers above the neighborhood and attracts tourists and citizens alike. It’s a marvelous building both inside and outside, and should be visited even if you are not religious. 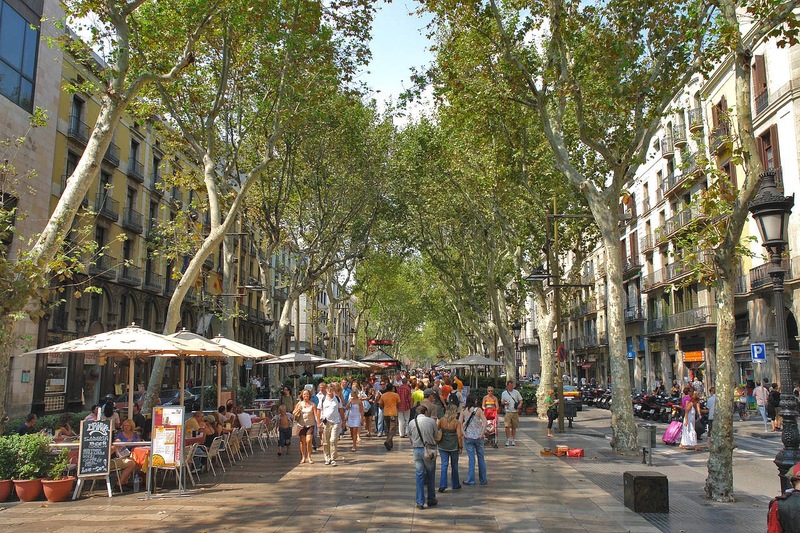 La Rambla is another popular neighborhood that is well-known among tourists for its liveliness. Local artists, street performers and regular citizens and tourists flock the place every day to just have fun, meet up or just have a chat. You can have a portrait made for you, or just sit down and enjoy the atmosphere. If you come at night, prepare for a party, as life doesn’t stop here even at night. The Sagrada Família is a magnificent basilica that has been initially built by Antoni Gaudí, combining Gothic and curvilinear Art Nouveau forms. Construction work has been started on the basilica 1882 and it actually is still under construction, and will be for at least a decade. Many people come here to see this large church that has been under construction for so many years. It’s truly a unique building and seeing it is definitely one of the best things to do in Barcelona. Casa Batlló is a famous building in the middle of Barcelona built by Antoni Gaudí, and one of his masterpieces. The skeletal windows and terraces and the oddly shaped facade is believed to be depicting the legend of St. George slaying a dragon, with the roof being its scaly back. Nevertheless, the architecture of the building is so unique and spectacular that is well worth a visit. Camp Nou is the home stadium of the FC Barcelona, the famous Spanish football team. Even if you are not interested in football, it is still worth seeing as it is the largest stadium in all of Europe, and one of the largest in the world. Its magnificent size allows it to give space to almost a 100 thousand people, which quite often happens as well. Many large football and other sport events are held here every year. 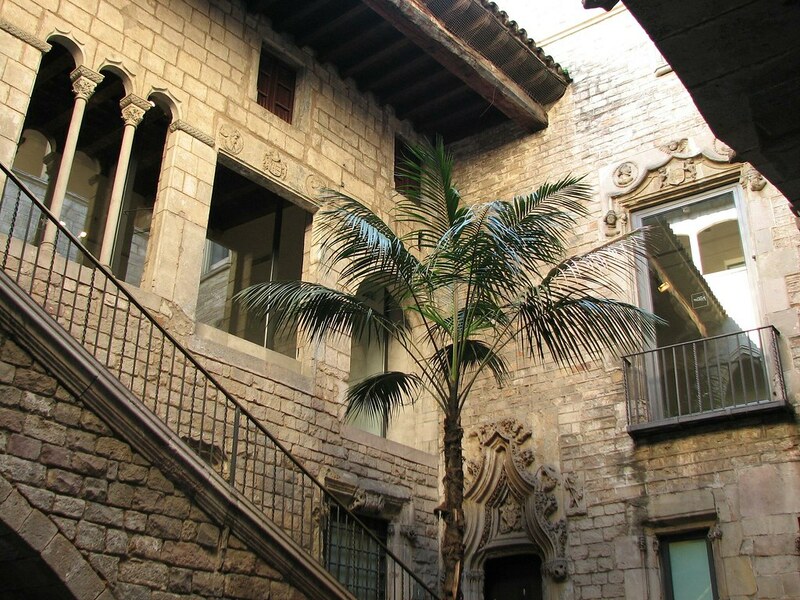 The Museu Picasso holds the largest collection of paintings made by Picasso, the Spanish-born artist. The museum has a collection of 4,251 works, all in a chronological order, which allows visitors to see his progression from the more controlled works of his early years to the more whimsical paintings and sculptures from the end of his career. The Casa Milà is another spectacular building designed by Antoni Gaudí. It was the last building he designed, and one of his best ones. The so-called “chimney garden” at its top is especially fun and interesting thanks to his quirky style, and as you go inside the building you can see numerous exhibits showing his works and that of other artists like Salvador Dalí. 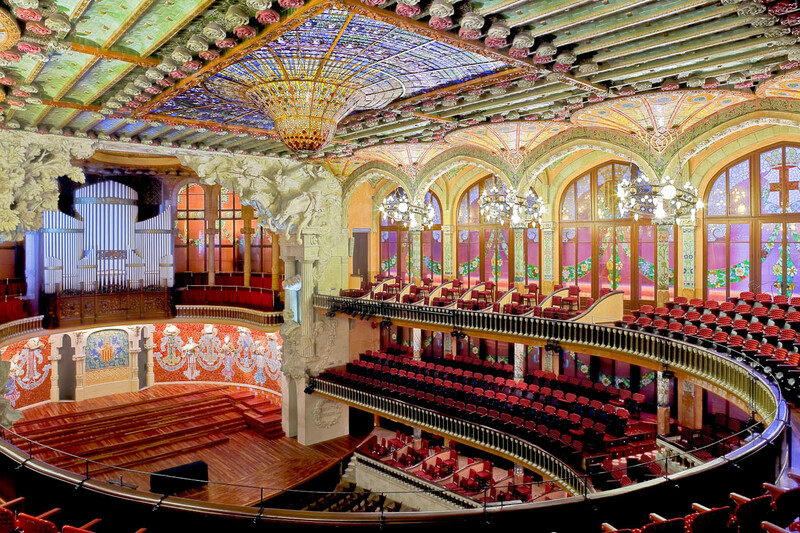 The Palau de la Música Catalana is a concert hall built in Catalan modernista style by the architect Lluís Domènech i Montaner. The mosaic pillars and sculptures depicting famous musicians like Bach and Beethoven, and the artistic representations of popular Catalan music makes this place quite charming as a concert hall. The Montjuïc Castle is a an old military fortress dating back to the 17th century. Beautiful gardens, a moat and towering stone walls await visitors, as well as a cable car which you can take to get an excellent view of the fortress and the the sea next to it. Today the building itself is used as a municipal facility. La Barceloneta is a neighborhood of the city which best known for its excellent and beautiful beaches. Both the beach and the boardwalk are great for casual walks or you can try one of the bars here and enjoy a refreshing glass of sangria. Port Olímpic is also located here, which is easily recognized by the Casino Barcelona, and the giant copper goldfish sculpture. For many hundreds of years Spain was an important location in the mining of mercury, which was usually done by criminals slave laborers, who didn’t survive for long due to its toxicity. 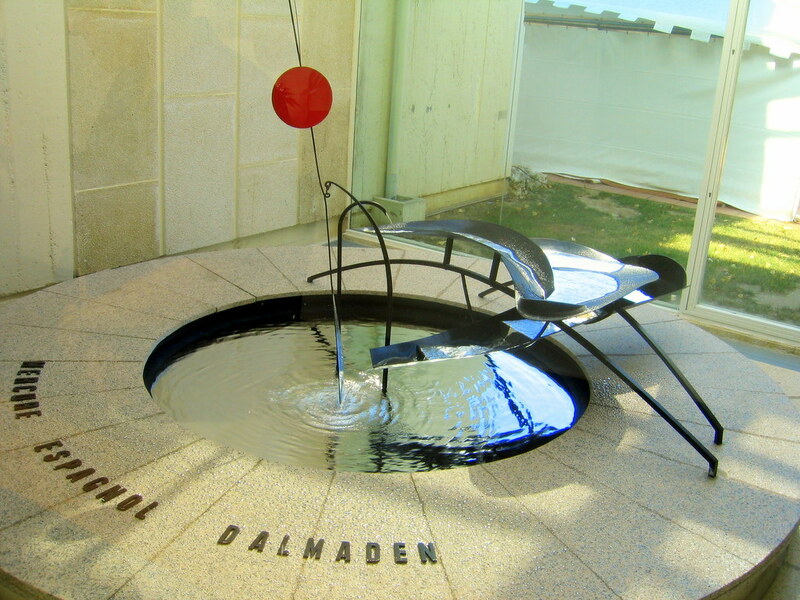 The Calder Mercury Fountain was built as a symbol of this great source of mercury for the 1937 World’s Fair in Paris, but was moved back to Barcelona and can now be seen behind a glass because people quickléy realized that displaying a toxic material like that out in the open is not the best idea. Nevertheless, the fountain which spews pure mercury instead of water is still a wonderful sight to see, especially now that it is safe. The Chocolate Museum is self-explanatory. 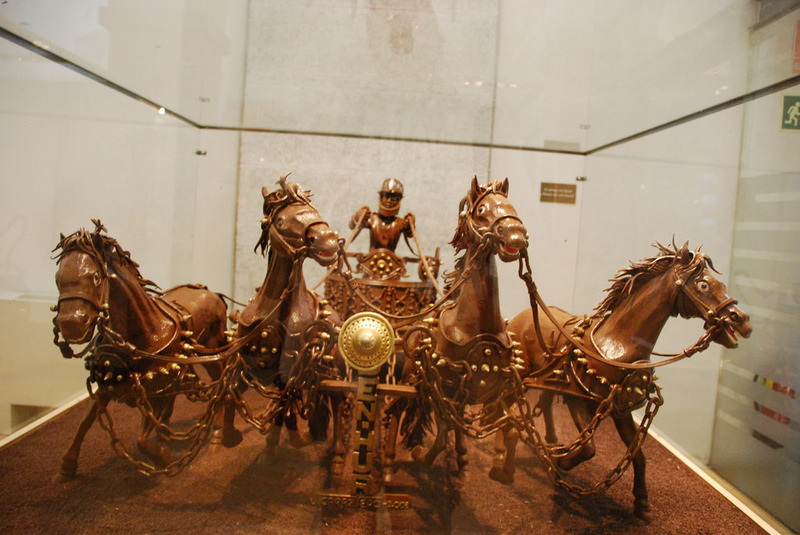 The Barcelona Confectionery Guild has set up the Chocolate Museum to tell the story of chocolate and its modernization, and while the history part is interesting, the main attractions are the chocolate sculptures of different things like a white chocolate ape, the Sagrada Familia basilica, and even cultural icons such as Minnie Mouse and Louis Armstrong. There is also a chocolate bar and gift shops for those interested. The Parc del Laberint d’Horta is a historical garden which comprises an 18th-century neoclassical garden and a 19th-century romantic garden. The most popular part of the gardens is of course the large hedge maze, but there are numerous other features like statues and fountains. 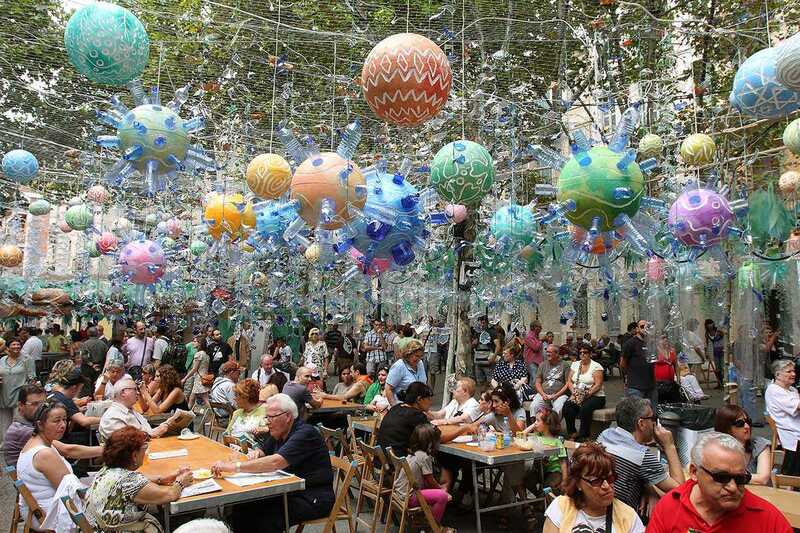 Although it only happens once a year during August, the Festa Major de Gràcia is worth seeing if you come during that time, as the neighborhood of Gràcia competes in who can decorate their street in the most unique and spectacular way. The decorations are always diverse and beautiful, and there isn’t one that is lacking in any way, so it is always a close competition. 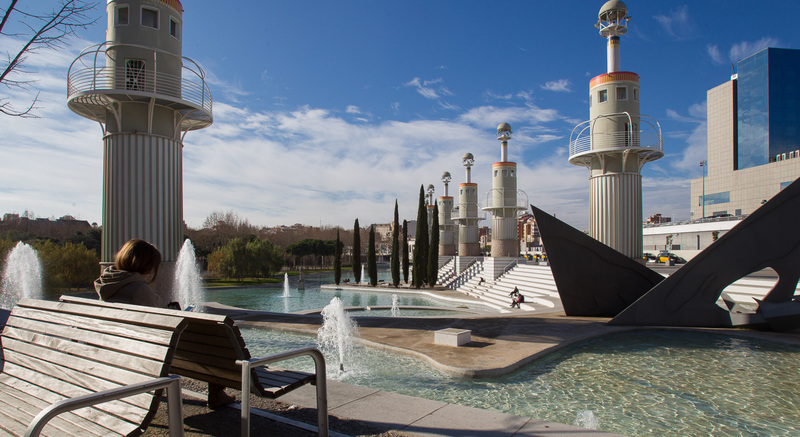 The Parc de l’Espanya Industrial used to be a steam-powered mill, but it has since been turned into a quite unique industrial park, with a small boating lake, grassy areas, a giant steel sculpture of a dragon (which can be used as a slide for kids) and sports fields. The Jardins de Ca n’Altimira was the not-so-ordinary garden of an eccentric freemason millionaire. After his death, the garden became the property of the city. It has a zoo, subterranean galleries, and a hypostyle room, a pillared hall with esoteric symbolism, not to mention all the statues and the gardens themselves. 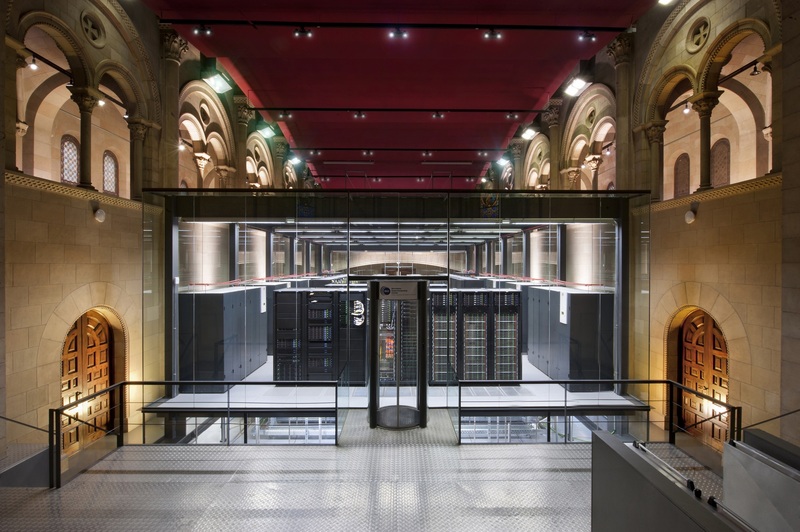 The Barcelona Supercomputing Center is built inside a former church and houses the MareNostrum, one of the largest supercomputers in Europe. The giant machine is used to perform massively complex calculations involved in fields of research like human genome mapping, astrophysics, and weather prediction, and was used in the development of microchip technology.